This puzzle is really cool. You have to get group by sum with Total Sum in a Single query. 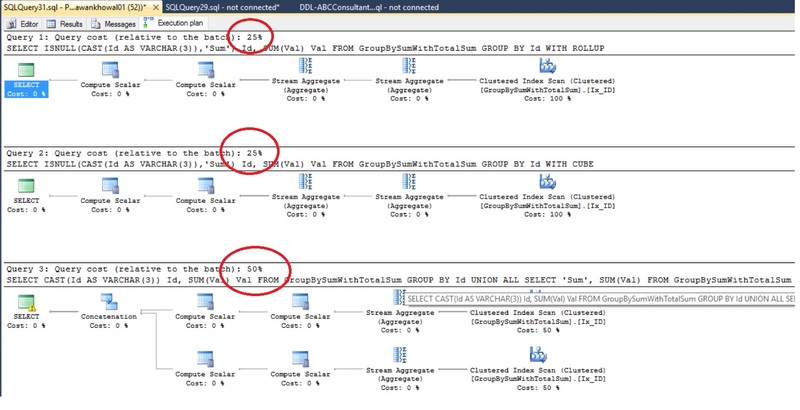 Clearly the first & second method are the best one as in the third query we are hitting the table twice and there is a conversion warning also @ the beginning of the third query.